IN NEED OF WORK FOR WHICH DUE ALLOWANCE HAS BEEN MADE IN THE ASKING PRICE A TWO BEDROOMED MID TERRACE PROPERTY briefly comprising:- Entrance Lobby. Lounge. Kitchen. Shower Room. Two Bedrooms. Yard to rear. The property is installed with uPVC double glazing. Situated within walking distance of the town centre and other amenities A TWO BEDROMED MID TERRACE PROPERTY having the benefit of IMMEDIATE VACANT POSSESSION. The spacious well planned accommodation briefly comprises:- Entrance Lobby. Lounge. Kitchen. Bathroom. Two Bedrooms.Yard to rear. The property is installed with gas central heating and uPVC double glazing. Situated within walking distance of the town centre and local shops A TWO BEDROOMED MID TERRACE PROPERTY having the benefit of immediate vacant possession. The well planned living accommodation briefly comprises Entrance Lobby. Lounge. Kitchen. Bathroom. Two Bedrooms. Yard to rear. 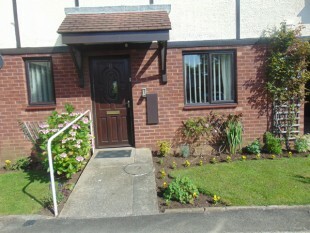 The property is installed with gas cental heating and uPVC double glazing. Situated in pleasant road A TWO BEDROOMED MID TERRACE PROPERTY within easy reach of the town centre and other amenities and having the benefit of immediate vacant possession. The well planned accommodation briefly comprises Entrance Lobby. Spacious Lounge. Kitchen. Bathroom. Yard to rear. 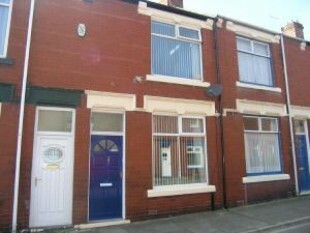 The property is installed with gas central heating and uPVC double glazing.. Ideal for retirement A GROUND FLOOR ONE BEDROOMED apartment occupying a pleasant position overlooking communal gardens to the front and rear on this attractive sought after development designed for older purchasers. The accommodation briefly comprises Entrance Hall. Lounge. Kitchen. Bedroom. Bathroom. The property is installed with night storage heating. In first class order throughout a DELIGHTFUL GROUND FLOOR APARTMENT with pleasant open outlook to the front and lovely outlook to the rear over communial gardens. The well planned easily managed accommodation briefly comprises Entrance Hall. Pleasant Lounge with French doors to garden. Kitchen. Bedroom. Shower Room. The apartment is installed with double glazing and night storage heaters. Hartlepool - Ron Greig Estate Hartlepool Ltd, Chadwick House, 127 York Road, Hartlepool, TS26 9DL. © Copyright Ron Greig Estate Agents 2019. All rights reserved.